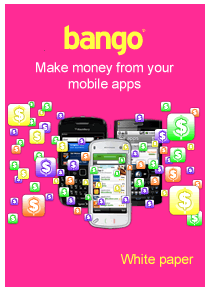 Bango, a company known for its mobile analytics and billing solutions, recently published a new whitepaper aimed at helping developers monetize mobile apps, which the company says is in response to the fact that over 80 percent of the 180,000 apps in the marketplace are free. The comprehensive whitepaper does a good job breaking down the various aspects of mobile app monetization using various methods and overcoming the various problem that can arise. The paper looks at issues such as multiple platforms/fragmentation, ad-funded models, payment issues, in-app sales, promotion and measurement, among other things. The paper goes over every aspect in much greater detail, and can be downloaded for free here. It’s definitely worth a read.